SKU: COX-CG. Category: Tools and Equipment. Tag: Cox Pro Cartridge Gun. Cox Pro Cartridge Caulk Gun for Use With 11 oz, and 30oz Tubes of Energy Seal, Woodsman and Perma-Chink. 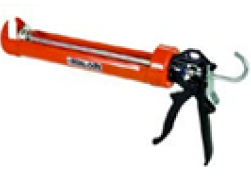 Be the first to review “Cox Pro Cartridge Caulk Gun” Click here to cancel reply.